Anatomical Designs’ approach to patient care is built on 20 years of experience in the local community. We are committed to helping our patients thrive through our quality team care approach and expert service. At ADI, we help rebuild your active lifestyle depending on your individual goals and needs. Whether you want to be more independent in your home or you long to enjoy the outdoors, we can help! Leveraging our years of experience, we custom design your device with the latest technology, collaborating with you, your physician, your insurance company, and other healthcare professionals to provide the best outcome. No matter where you are in your rehabilitation, we will help educate you and give you the tools that you need to be successful. ADI has three office locations serving the communities of southwestern Pennsylvania, north central West Virginia and western Maryland. Shandon is a certified Prosthetist and Orthotist from the American Board for Certification (ABC) in Prosthetics and Orthotics. He is a Fellow of the American Academy of Orthotists and Prosthetics, is an Upper Extremity Myoelectric Specialist, and is certified in the Otto Bock C-Leg, Harmony Limb Volume Management System and Ossur Rheo Knee. He also holds professional development certificates in Gait and Pathomechanics, Orthotic and Prosthetic Management of the Pediatric Patient, and Orthotic and Prosthetic Management of the Geriatric Dysvascular/Diabetic Patient. 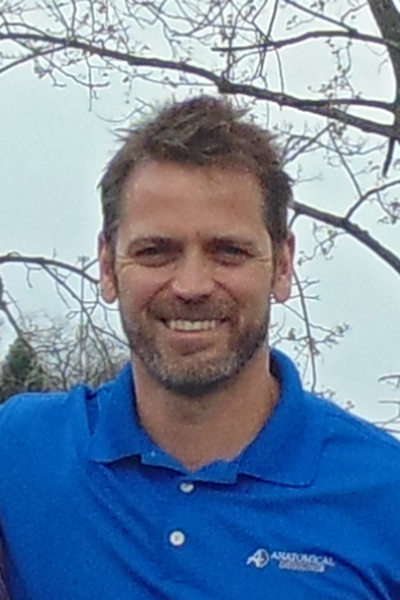 Shandon’s expertise and commitment is evidenced by his work as an instructor for various prosthetic socket systems and knee and foot components, presenting eight hour clinical courses throughout the United States to other prosthetists, physicians and physical therapists. Additionally, he is consulted by several large prosthetic and orthotic component manufactures to conduct clinical trials on foot and knee systems, providing input that has often led to design changes prior to product release. Shandon also helps to design and present educational materials on behalf of various service providers in the prosthetic and orthotic industry. 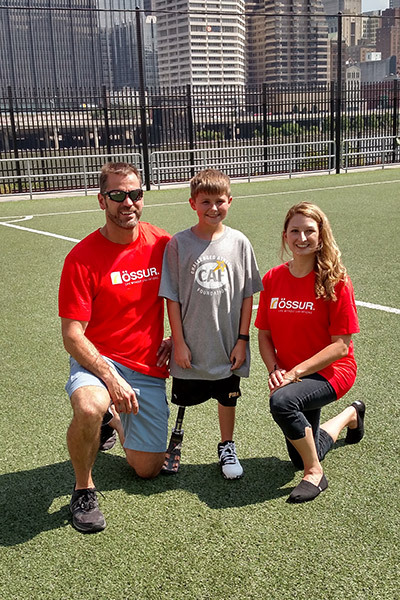 Shandon received a Bachelor of Science degree in Exercise Physiology from West Virginia University, and completed his postgraduate work at Northwestern University Medical School’s Prosthetic and Orthotic Center, earning certificates in both Prosthetics and Orthotics. Best staff ever. Everyone does their best to help me get to where I want to be. Everyone here is a perfectionist and they do the best job they can. Whenever I walk into the office the focus is on me and how they can help me to improve my life. It would be great if all businesses were like this one! Would highly recommend to others! Thank you! God Bless you! Awesome people. I am well pleased and will recommend as many people as ask me. Perfect. Above expectations. Thank you. Everyone is extremely accommodating, easy to work with, friendly and caring. Wouldn't go anywhere else. All were very friendly and answered questions no matter how silly I thought they might sound. Very professional and easy to talk to. Very satisfied. They went above and beyond! Thank you. Very satisfied with everything. Did a great job. Everyone is great. Everyone was very polite and professional. I was in and out very quickly. Thank you for all your service. Very happy. Went out of their way to find a shoe I wanted but was not available. Very friendly staff.